Shadow Hills offers 18 holes of fun golf enjoyment which is enhanced by contoured mounds, beautiful lakes and irrigated roughs. The course boasts about its tree lined fairways, carefully landscaped fairways, and greens always in great condition to create an enjoyable round. The par 3 6th hole is our signature hole. Measuring at 123 yards, this short beautiful hole is surrounded by a pond and wildlife to make it very unique in West Texas. 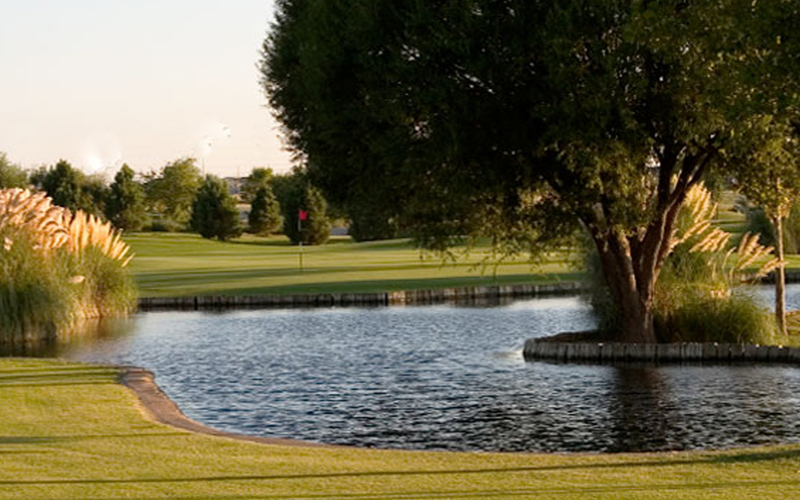 There are many golf choices in West Texas, but only one offers a great friendly staff, well maintained golf course, and very affordable prices. Golfers of any age and experience will appreciate this gem in West Texas! Call us at the Pro Shop to set up your tee-time today!